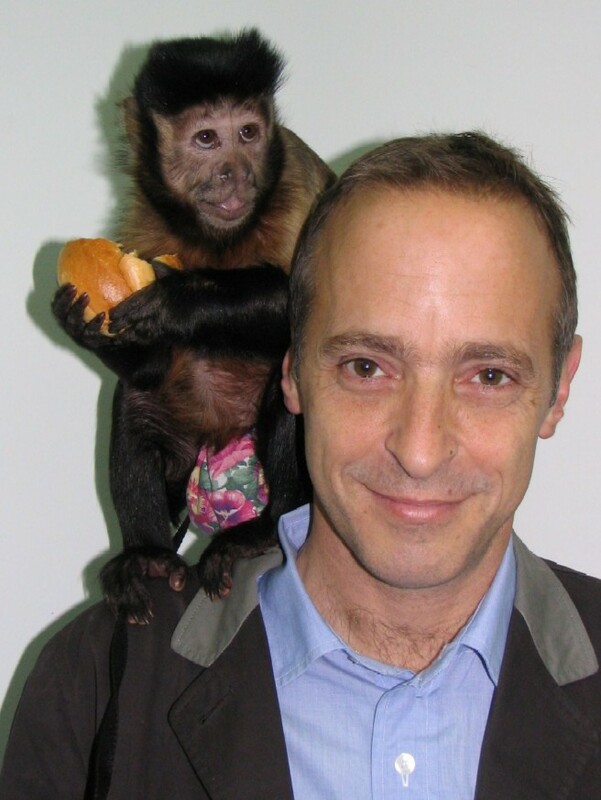 I first discovered David Sedaris in the early 2000's, shortly after I graduated from college. At the time, I had subconsciously given up on books forever in response to my newfound freedom from school, parents and societal norms. After being forced to read an ever-increasing amount of material I had no interest in for the better part of my life, it came as no surprise that I practically gave up on literacy altogether. Besides, video games, movies and television were far more exciting to me. This was the staying-up-past-midnight or eating-cookies-for-dinner of my early 20's. Around this time I was handed a copy of Me Talk Pretty One Day, and was surprised to discover that I could not put it down. I was completely drawn in by Sedaris' brand of self-deprecating humor, a creative choice that mimicked my own, both in person and in writing. I devoured everything I could get my hands on, and with each new book I found myself even more impressed. I couldn't imagine how someone could draw so many interesting stories from their own life, let alone simply remember them. His name rocketed to the top of my list of favorite authors, mostly fantasy writers like Piers Anthony and J.R.R. Tolkien. And while reading his work, I found myself thinking: "I can see myself doing this someday." When I finished reading Sedaris' latest essay collection Let's Explore Diabetes With Owls, it left me with a nagging thought that started with his previous collection, When You Are Engulfed In Flames. With some exceptions, I've found that his stories are just not nearly as engaging as they once were. It seems like an obvious statement - the man has six different collections of stories from his life - at some point that well's gotta be tapped, right? But I have a personal stake in this statement being wrong. Sedaris' style is something I've been mimicking in my own writing for years. I named him as my biggest influence when I recently applied to an MFA Writing Program. I don't want to believe that a person's life stops being interesting (or at the very least, bite-size story-worthy) enough to write about after a certain point. Especially if you've proven yourself to be a gifted writer who can mine humor and narrative out of the mundane (and, if I'm being honest, the not-so-mundane - the man himself is a little kooky). But if it's not that, then what is it? I have a few theories on why some of his more recent stories fail to grab me as a reader, and hopefully I can learn something from them in the process as a writer. I was out to dinner at a vegan restaurant with my mother a few weeks ago. She's trying to mix up a lifetime of meat and dairy consumption after her recent visit to a healthy diet commune (she called it a fat farm). The deal was sealed after she watched a documentary thoroughly detailing life-changing benefits of a plant-based diet. I don't blame her. She's fifty seven years old, and on top of the heart disease and diabetes that run in our family, her older sister is dealing with a persistently spreading cancer. It's not a bad time to make the switch. During the dinner (which was delicious by the way - veganism is easy if you can afford to eat at expensive vegan restaurants on a regular basis) the topic of my non-fiction writing came up, and with a knowing laugh she pleaded with me to not write anything bad about her. "I've been a good mother to you, right?" she asked. I told her that yes, she had been a very good mother to me, and quietly dodged the subject of what I would be writing about her someday down the line. The above two paragraphs contain more detail than we've ever gotten about Hugh, the man David Sedaris has been dating and living with for well over a decade. Though he's now in the majority of the stories Sedaris tells from his life over the past ten years, I can recall exactly two details about the man: he is the handier/manlier of the two of them, and he apparently walks quite fast. That's it. There are small details mentioned here and there, but by and large the man is a blank slate, and their relationship could simply be loving and stable, or violent and destructive for all I know. By contrast, Sedaris' family members are all fascinating characters (especially his late mother), in whatever stage of his life they're portrayed in. I suspect Hugh must have made it clear at some point that he doesn't want to get the same treatment that Sedaris gave his family. It's either that, or he is simply the least interesting person on the planet, and Sedaris finds himself unable to make a story-worthy character out of him in his work. Both scenarios are regrettable - in the first, Sedaris is making a compromise that hurts his career and the second, much less plausible scenario actually makes him a lazy, poor writer. Either way, every story he writes focuses squarely on himself, his family (again) or someone he spends a negligible amount of time with. My initial draw to David Sedaris was in following the life of a vulnerable man desperately trying to figure out his place in the world. Lucky for him (at least, from a writer's perspective) that journey took much longer than usual. He spent years working menial jobs, moving all over the country and regularly getting high. When he finally starting telling the stories of his life, he had a treasure chest full of wonderfully specific details and colorful pre-Hugh characters: working as one of Santa's elves at Macy's, dealing with a homophobic neighbor and her child in a rundown apartment in the South, and getting into all sorts of trouble while hitchhiking his way across various U.S. cities. Nowadays his stories are all told from a place of comfort. When he travels to new places for months or weeks at a time and tries to integrate himself into the culture or learn the language, it's clear the intended effect for the reader is 'stranger in a stranger land.' But there's never really anything at stake. Worse, it's just plain less funny because we're dealing with a successful man who is able to keep everyone around him at a distance (wherever he is) and is not making particularly interesting, or better yet, stupid choices. He's more or less living the life of a well-to-do writer who gets to buy whatever he wants and live wherever he wants for however long he wants. Sedaris makes no efforts to hide his liberal political leaning, which on its own is fine. But the bias leads to some uncomfortable moments when he's describing or dealing with a person who is obviously not on the same page as him. The most egregious example of this is in the handful of fictional stories Sedaris mixes into his latest book of essays. They're all written from angry, one-dimensional nut-jobs who have always have a grudge against someone, and that someone is usually President Obama. It's already a sign of a lack of material to include random pages of fiction in a non-fiction collection* (and as a reader, without any warning of the transition, you have to start each story off wondering where this new side of Sedaris came from until it clicks that it's not him anymore). I may side with him politically, but I'm not reading his work expecting a Michael Moore-esque commentary on the state of this country, especially as he doesn't actually live here anymore, and very much comes off as an outsider looking in. On top of this, Sedaris' commentary on the people he comes across nowadays feels snarkier than it ever has before. I understand it on some level. Opinions on people - especially groups of people - are tricky. This is something I struggle with a bit myself in my own writing, because Matt Shafeek the character living in the story can and should have an opinion on the people in his life, but Matt Shafeek the author needs to make it clear that he is unbiased in his descriptions, otherwise you're a un-trustworthy, judgmental jerk-faced writer. I think David Sedaris was better able to handle this contrast in his earlier works, but is less able to maintain (or just cares less about) the separation now. Whether it's laziness, cantankerousness, or just the fact that the man has a much higher status now, it's very distracting to me as a reader. It's unfortunate that I'm not enjoying the work of my favorite author as much I once did. Hopefully David Sedaris turns all of this around in the future - perhaps after reading this blog post (I didn't opt for an open letter this time, but hey, it's still a public posting). In the meantime, what can I learn from all of this as a writer? The way I see it, I just have to take a few simple precautions, and I should be okay: I have to be willing to talk openly about everyone in my life (don't worry mom!) without blatantly trashing or getting on my high horse about them (see mom? ), and also I have to ensure that I never get famous or wealthy, so that my life struggles come to an end (sorry mom). *I understand he may have done this in one of his earliest works, the only book of his I haven't read yet. I'd be curious to see if the idea was better executed here. You recently blasted Mike Birbiglia for being lame now that he's successful and things are easier. This will be the focus of my next blog post "Matt Shafeek hates success."